We're less than a month away. As mentioned yesterday, Simply Suppa will be doing a Countdown to Christmas. Day 30 featured the inspirational and feel-good Shoebox Project, an initiative to help women and girls in local shelters by surprising them with little luxuries. The next 29 days will be a melange of gift ideas, experiences, family to-do's and charitable causes you can contribute to this holiday season. 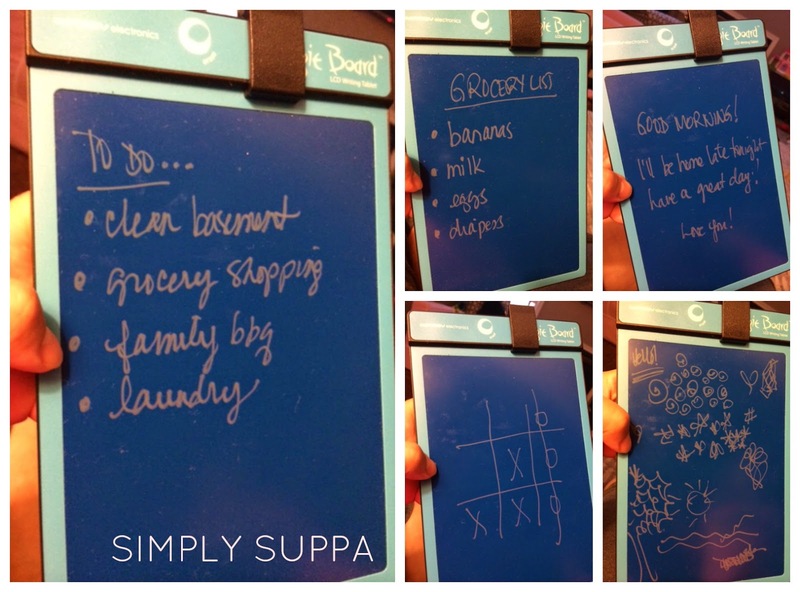 I like multi-purpose items, and the Boogie Board fits the bill. What was originally reviewed as a kids' toy has actually become a popular tool in our home. The LCD screen comes with a stylus pen so you can draw and doodle, sketch and write very easily. The entire screen is wiped clean with a simple press of the reset button on the top of the board. The Boogie Board is portable and light, and can also be hung on the wall. Isabelle loves to play with her Boogie Board and we actually leave it out on the coffee table for accessibility. The best part? It's super affordable ($39.99), so it's perfect for sometimes clumsy toddler hands. We don't have to worry about an expensive tech gadget breaking or being dropped, and she can scribble and draw to her heart's content. 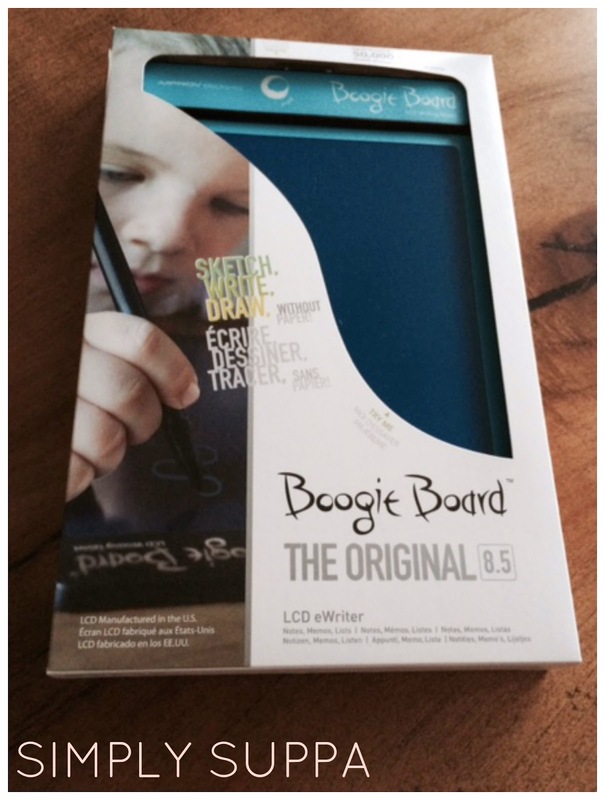 The Boogie Board comes in various colours and a protective sleeve is available for purchase separately. Available at Mastermind Toys. Makes a wonderful stocking stuffer or Kris Kringle gift! Disclaimer: I received a Boogie Board to review for this feature. As always all opinions expressed on my blog are my own.